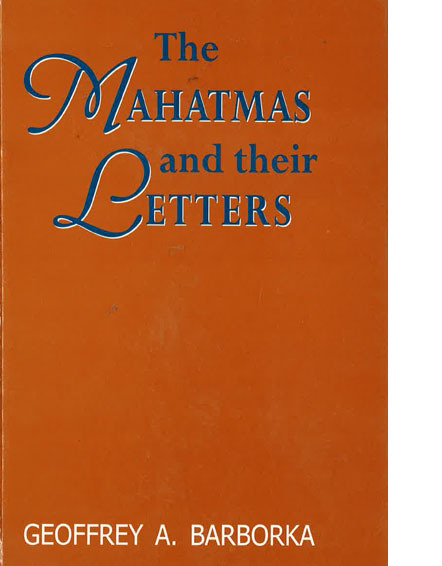 The Mahatmas and Their Letters - Geoffrey BarborkaMany letters were received from the Mahatamas between 1880 and 1885 by A P Sinnett and others. Mr Barborka draws on The Mahatma Leters to A P Sinnett and on those from H P Blavatsky, to produce this study of the birth of a modern occult movement. Many letters were received from the Mahatamas between 1880 and 1885 by A P Sinnett and others. Mr Barborka draws on The Mahatma Letters to A P Sinnett and on those from H P Blavatsky, to produce this study of the birth of a modern occult movement.